Develop the best online medicine app for Android and iOS to help your medical store. People can order health tonics, personal care, healthcare, diabetes care, OTC and wellness products online via these medicine shopping apps. 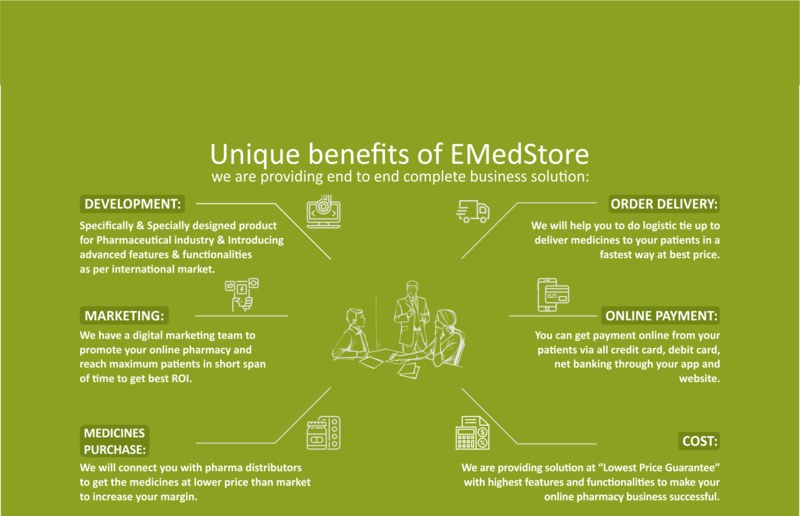 Why EMedStore is beneficial for Your Pharmacy Business? According to the recent statistics, the total number of people who use internet will cross a mark of over a billion in Asia Pacific by 2019. If we look at the recent data and predictions for Indian markets, 240 million people will be a part of the online market by 2019. This indicates that 70.7% of the entire population that uses internet in India will actually opt for shopping online. This phenomenon is escalating faster because of the commencement of smartphones. Given this current scenario, don't you want to prepare yourself well for the future market? 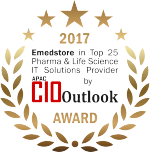 EMedStore is a paramount Pharma IT Company that can provide all kinds of solutions to help you grow your pharmacy business. Why A Pharmacy Shop Needs Business App in 2019? Upload prescription to place order with medical or pharmacy store. Search Prescribed Medicine or OTC Medical(category wise or by search) - Products. Can select a particular product and add it to medicine cart. Can place an order with valid customer details. Can track placed order throughout the process. Can communicate with a pharmacist for any questions or queries by submitting 'Ask A Pharmacist'. Can Add and manage Scheduled Medicine refill by enabling/disable state. Can Add Medicine reminder with valid details to never do forgot taking medicines on time. What makes EMedStore a one stop destination for Your Pharmacy? Of course, we assume that your business has everything sorted and organized in terms of your finances and stocks. But EMedStore will help you take your business to the next level by organizing your client data, online medicine data, and everything that will help you provide make your pharmacy more client-friendly. In the face of increasing pollution and the rise in lifestyle diseases like blood pressure and medicine, customers require medicines on a regular basis. EMedStore helps you manage the customer data in a way that you can send them friendly reminders to refill their monthly medicines in prior. Hence making sure that you don't lose your clients rather makes them regular. Once you have your mobile app and website running, our aim is to make your sales, alerts for clients and refill reminders automated. Not only you but your clients can also have a provision to set alerts and reminders for themselves. 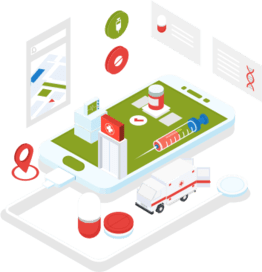 EMedStore stands out from other website designers and consultants because we are an established IT Pharma company with over five years of experience. We give a personalized care to all our clients and our relationship does not end after designing your online pharmacy platform. Our relationship begins there and we also help you with marketing tips and other ways of making your pharmacy more visible in the market so that you can attract more clients. 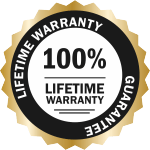 This is just a one-time investment that can reap you big results in future. We will help you make your pharmacy visible on Google playstore for android & Appstore for iOS so it can be easily downloaded. 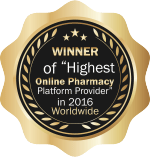 We are a unique platform that can help you grow your online pharmacy business immensely. Are you convinced yet? Why don't you try out our free demo? You can just drop us a message or call us for a free demo! We are sure that you will not be disappointed!